white areas were snipped off, touched with glitter and then popped on top of the stems. The vase is a two layer die. An oval of white card was cut and embossed before dusting over with some green ink using a brush for a delicate effect. A larger white oval and trellis border were added along with a simple greeting popped onto matching punched labels. 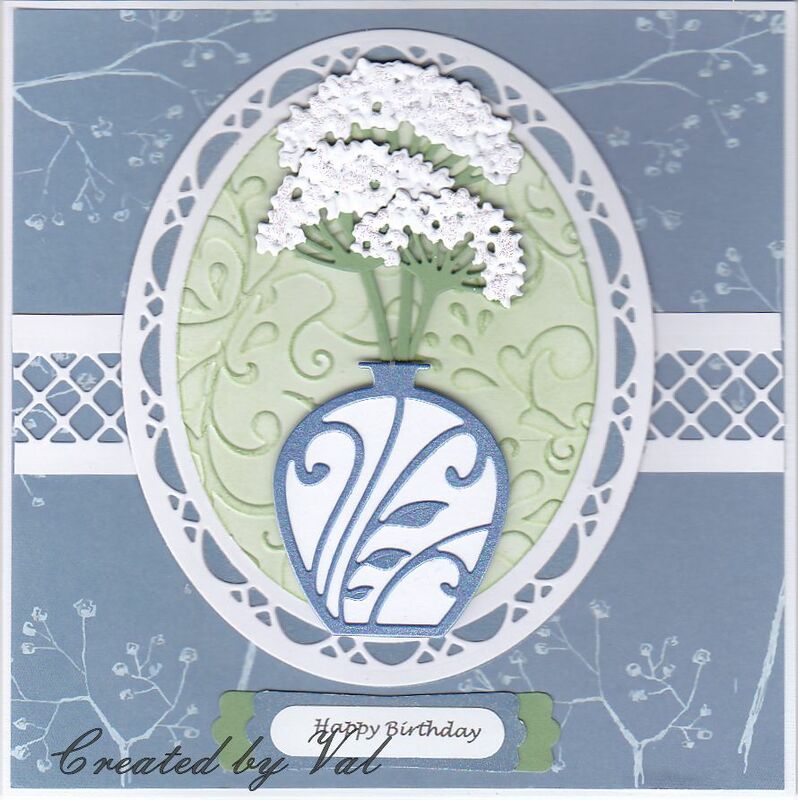 A beautiful card Val, I love all of the die cuts you've used and the colours too. 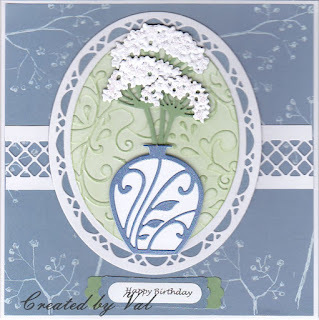 so pretty Val...I love the look of Queen Ann's lace, such a regal name.